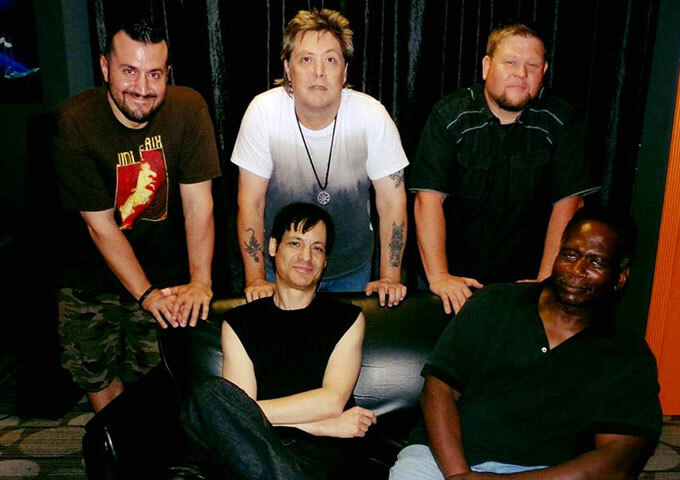 Kindred Souls is an all original rock band founded by singer-songwriter Jeff Rafferty and keyboardist Lon Bachrach, who have produced 9 albums during the last two decades. During July the band released their brand new 14 track CD entitled “The Whole Enchilada (and Other Modern Fairy Tales)”, a project that was born in 2014, and which has been digitally released internationally through Sony Music, via the AMG label. At first glance the album is as enthralling as it is complex. Plastered in a sort of glossy fuzz, the tracks bob and weave in-between groove and ambience without a care in the world. The opening track, “Family” encapsulates the entirety of “The Whole Enchilada (and Other Modern Fairy Tales)” in just over three minutes; rock and roll in its purest form. What makes Kindred Souls so worthwhile is the charisma lead vocalist/songwriter Jeff Rafferty brings to the band, and there is plenty to be had throughout. He continually soars over the top of the omnipresent guitar leads, and it perfectly melds together with the backbone of the remaining instrumentals. Sometimes harkening back to a stoner-esque sound, the music plods along beautifully at a steady pace without ever overstaying its welcome. “Arms Wrapped Round” is a perfect blend of catchy and intricate, and brings home the more melodic rock & roll vibe this album often successfully achieves. The production throughout the album is superb; the guitars have a sort of glossy crunch placed over them at times, enabling them to seem far more, well, catchy. They shine throughout the album, and never seem uninteresting, particularly on tracks like “Heroes”, “The Red Rooster” and “Same Shoes”. But the album as forges some rich piano tones which can be found in the brilliant Americana-styled standouts, “Sunflower”, Valencia Street” and “Much Longer”. The band uses the organic instrumentation to really build up the atmosphere of each track. The always thumping bass and drum track adds another much-needed element to the album’s attractive formula, and sit just right in the overall mix of the album. The piano and guitar combo is always catchy in all of its crunchy and crisp goodness, and really carries the atmosphere each song builds. And every now and then the band will let through some rich horn interludes to intensify the luscious warmth of a track. This happens on “Someday”, for example. And it all comes together to leave the listener in awe of such rich organic soundscapes. For a band who has existed for well over twenty years, it’s extremely exciting to see such life still left in them. With monumental melodic highs like “Time Machine” and “In The Bones”, “The Whole Enchilada (and Other Modern Fairy Tales)” measures up significantly well to anything else released in the genre recently. With a sharp rock and roll edge, ever-fantastic Jeff Rafferty vocal performances, and near-perfect instrumental backing, Kindred Souls continue to prove that you can’t pin them down. There’s a certain rock swagger on display here, which, along with authentic song craft, groovy vibes and a dash of musical flamboyance, makes for a truly seductive sound, both deeply ingrained in the golden rock era and relatively novel. Almost every band has that one album. That one album that justifies the immense love and dedication given by their fanbase. 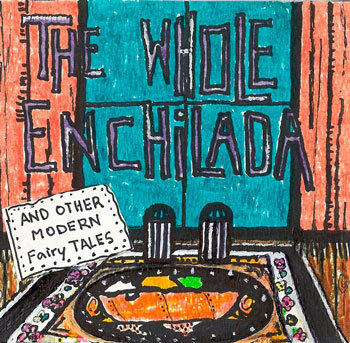 “The Whole Enchilada (and Other Modern Fairy Tales)” sounds like that album to me.